Is Your Doctor Using a Checklist? The scientific knowledge base and practice of medicine has expanded exponentially as scientists have plumbed the human body and mind to reveal its genetic, molecular, anatomic, physiological and psychological mysteries and developed ever-more sophisticated means to diagnose disease, treat patients and prolong life. Although this acceleration in progress holds great benefits for an individual’s health, it poses a daunting challenge to physicians trying to keep up with the latest findings and developments. It is simply not humanly possible to be error free. This is the premise wonderfully rendered by Dr. Atul Gawande (see photo above) in his most recent book, The Checklist Manifesto: How to Get Things Right. 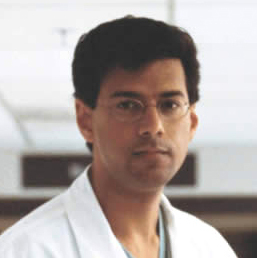 Gawande gets our attention right away by taking us into an Intensive Care Unit (ICU) where as many as 178 procedures, from putting in a urinary catheter to placing a catheter in the vena cava, the major vein leading to the heart, are routinely done; missing a step in any one of these highly complex procedures is no small matter since the consequences are grave, sometimes deadly. You would think that doctors would welcome anything that would help to ensure that they get it right — including something as simple as a checklist. Sorry, yes is not the answer. The tale of the challenge of checklists has immediacy as New York State Office of Mental Health develops and pilots a checklist for prescribing antipsychotic medications. We developed this checklist with a group of experts after evidence became overwhelming that antipsychotic medications, while essential, carry many risks and are far from being prescribed according to the knowledge that exists about them. They are also very costly and a dollar spent unnecessarily on this treatment is a dollar less to spend on another treatment. The checklist is a set of eight questions that begins by asking a prescribing doctor (or nurse with prescribing authority) whether the patient has a diagnosis that warrants the use of this class of medications. It goes on to ask about side-effects, patient preferences, using multiple medications at the same time (called polypharmacy), and the physical health of the patient. The checklist, which we call SHAPEMEDs (an acronym or abbreviation using the first letter or portion of a key word for the eight questions), does not tell the prescriber what to do. Instead it asks whether the doctor has considered a set of essential aspects of quality care. Key information that supports the principles that underlie these questions is supplied on the back of the form or by a roll-over hyperlink on its electronic version. I know that if SHAPEMEDs proves to be beneficial that I will encourage every patient and family I know to ask the doctor “…are you using a checklist when you prescribe an antipsychotic medication?” Wouldn’t you want medicine to be as safe as science can make it be?